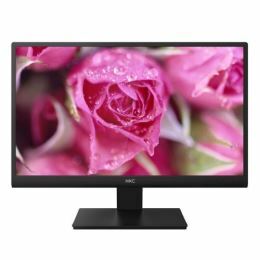 LED Monitor - 54.7cm (21.5") with 16:9 Wild Format, Flicker Free, Plug & Play. LED Full-HD (1920x1080 Pixels) TFT Panel, Non-Glossy. D-Sub (VGA) x 1 and HDMI x 1 Port with EU Power cable x 1, D-Sub VGA Cable x 1 and 2 years Warranty Card.